Silahkan klik tulisan atau gambar untuk lanjut membaca Journalists Jailed in Record Numbers Worldwide. NEW YORK, LELEMUKU.COM - Journalists are being jailed in unprecedented numbers across the globe, with 262 detained for their work at the end of 2017, according to the Committee to Protect Journalists. "The jailing of journalists is a brutal form of censorship that is having a profound impact on the flow of information around the world," CPJ Executive Director Joel Simon told a press freedom event Friday at the United Nations. At the end of 2017, the worst offenders were Turkey, with 73 journalists jailed; China with 41; and Egypt with 20. CPJ says that slightly more than half of all imprisoned journalists were jailed for reporting on human rights violations. Simon said the United Nations has not been a strong enough voice on the issue because it has a culture of rarely naming and shaming its member states. The event, organized on the sidelines of the U.N. General Assembly annual meeting, highlighted the cases of five reporters CPJ says have been unjustly detained. They are nationals of Bangladesh, Kyrgyzstan, Egypt and Myanmar. The two most high-profile cases are of Reutersreporters Wa Lone and Kyaw Soe Oo in Myanmar. The two men were detained in December 2017 while they were investigating the mass killing of Rohingya Muslim men and boys by Buddhist villagers in the Rakhine state village of Inn Din. Myanmar's military launched a crackdown on the minority Rohingya in August 2017 after Rohingya militants attacked several police checkpoints and killed a dozen Myanmar police officers. In a matter of a few months, 700,000 Rohingya fled to neighboring Bangladesh. Survivors gave accounts of horrific abuses, including widespread rapes, torture, and the looting and burning of their homes. The United Nations has deemed the atrocities a "textbook case" of ethnic cleansing. British barrister Amal Clooney is representing the two Reutersreporters. She says the Myanmar authorities did not want their story about the massacre at Inn Din to come out. "So police planted government documents on the journalists while other officers lay in wait outside to arrest them," Clooney said of how the two men were set up. "The journalists were arrested and were then prosecuted and subjected to a show trial in which their conviction was guaranteed." Earlier this month, the two were sentenced to seven years in prison for violating a law on state secrets. Clooney said they are seeking a presidential pardon in Myanmar for them, as it is the only avenue currently available to win their freedom. "The attack on them is a chilling warning to other journalists worldwide," said ReutersPresident Stephen Adler. "Myanmar is not the only country where attempts are made to deter investigative news gathering, scare sources and whistle-blowers, dim the spotlight of reporting, and thereby allow officials to act in darkness with impunity." Azimjon Askarov, a Kyrgyz journalist, has been serving a life sentence since July 2010. CPJ'sSimon says he was covering deadly ethnic clashes in southern Kyrgyzstan in the summer of 2010. During the trial, he and his lawyer were both assaulted. "CPJ conducted its own investigation into the case in 2012 and found that charges against Askarov were in retaliation for his reporting on corrupt and abusive practices by regional police and prosecutors," Simon said. Bangladeshi photojournalist and commentator Shahidul Alam was arrested last month while covering student protests in Bangladesh. A Dhaka court ordered that he be held for seven days to determine if he violated an information law by spreading propaganda and false information. "When Shahidul was brought into court, he screamed that had been tortured. He was unable to walk without assistance," Simon told the panel. He remains in detention. Since 2013, CPJ says, Egypt has been among the world's worst jailers of journalists, often detaining reporters on politically motivated anti-state charges. Alaa Abdelfattah, a well-known Egyptian blogger and activist who has written about politics and human rights, is one of them. He is serving a five-year sentence on charges that he organized a protest and assaulted a police officer. "We believe the charges are trumped up and in retaliation for Alaa's coverage of alleged human rights abuses by the police and security forces," Simon said. "We are witnessing a growing hatred of journalists worldwide, which unfortunately is not limited to authoritarian regimes," said Margaux Ewen, North America director of Reporters Without Borders. "We are seeing democratically elected regimes also attack the press more and more frequently, which is why we need to continue to address wrongs as they occur." U.S. President Donald Trump refers to negative news coverage of him and his administration as "fake news," and reporters at his rallies and during his campaign reported encountering hostility from his supporters. Reporters in the United States are facing a more dangerous work environment. 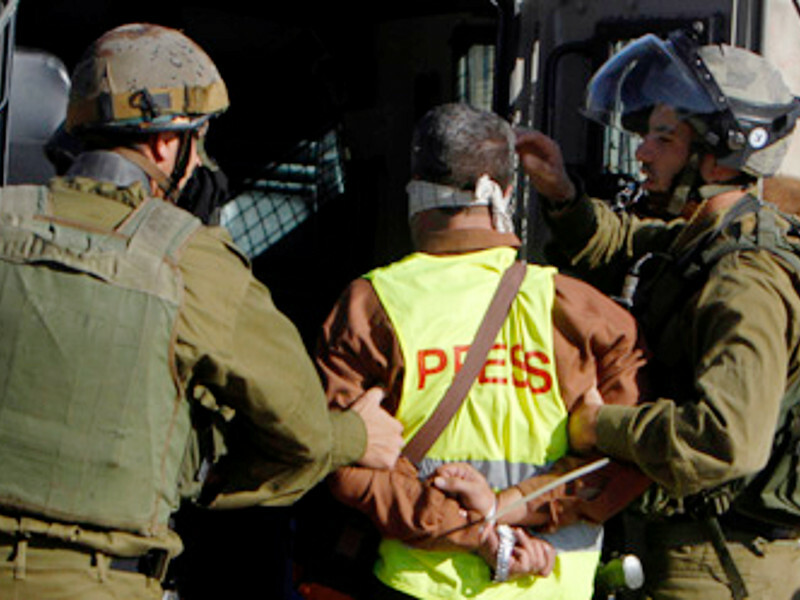 CPJ says at least three journalists have been arrested this year and 34 last year. In June, five people were killed in the newsroom of an Annapolis, Maryland, newspaper. Journalists covering white nationalism and the far-right political movement have reported receiving threats, and at least 24 journalists have been assaulted, shoved or had their equipment damaged while working.